The Vietnam War was not only waged by soldiers on the battlefield. Long after the fall of Saigon in 1975, traumatic memories haunted civilians and veterans whose lives were irrevocably changed. The Vietnam Was has had an enduring effect and contentious national legacy, which still shapes military policy, political debates, and the way American wars in Iraq and Afghanistan have been represented in journalism, literature, and film. 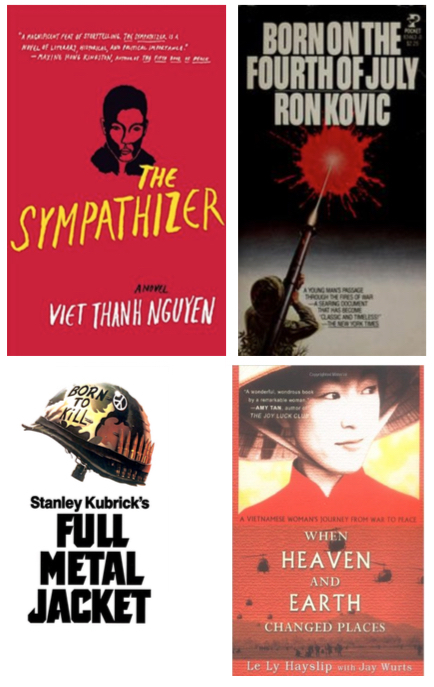 This course explores the creative outpouring of responses to the Vietnam War in literature and film, asking how artisitsand filmmakers represented experiences on the battlefield and the home front, how they fought symbolic battles over the interpretation and memory of the war, how they sought consolation for unfathomable losses, and how they produced a legacy for future generations. Books and films include The Quiet American; Dispatches, The Deer Hunter, Born on the Fourth of July; Apocalypse Now; Platoon; The Sorrow of War; Full Metal Jacket; Dien Cau Dau; The Things They Carried; When Heaven and Earth Changed Places. The novelist Viet Thanh Nguyen will visit our class, and we will read his highly acclaimed new novel, The Sympathizer. Recitations with assigned TA's please see below for office assignments and contact information.